Well, all I'm heading to Florida to Spring Training for the second year in a row. I'll be driving down there for this rendition, so if you don't hear from me in a few; I'm on the road. It's one in the morning, and I'm up and sick as hell; thus, I'm going to go over the latest and greatest in Oriole-land. As most fans know by now, MASN will show about quarter of it's games in HD in 2008 for both the Washington Nationals and Baltimore Orioles. MASN’s HD schedule includes key match-ups with the Yankees, Mets, Red Sox, and Braves, as well as the Phillies, Dodgers, Cubs, Cardinals, Marlins, and Rays. The network will provide HD telecasts for all six inter-league games between the Nationals and Orioles. It seems like they are saving the high-def broadcasts for the most popular teams to stroll through the region rather than just random games. I sort of sensed this, as I'd assume based on the transient nature of the region, those teams would be represented. As posted previously, this would point MASN in the right direction to making itself into a great sports network; however, I still think the network needs to take more steps in order to become the cream of the crop. I'm a simpleton when it comes to these matters, and I obviously will not be running a sports network anytime soon, my huge complaint is not so-much with the HD issue, but it’s the general product. I’d like to see a lot more locally produced programming, than seeing an ESPN News feed X hours of the day. That’s a big reason why I have not tuned into it at all — maybe with the advent of another baseball season and a year plus under it’s belt, it will evolve. For example, I think MASN can do a lot better -- let's use for example, the John Riggins show intro. It looks like a 7th grader took some random pictures and played with Photoshop to make a promo — that’s a prime example. Don’t mean to nit-pick or denigrate people who assuredly work as hard they can to make a viable product, but it’s stuff like that makes the network less than ideal in my eyes. As I noted earlier, the Orioles have hired Matt Klentak as director of baseball operations. I really didn't know much about him until tonight, until I googled his name and found this informative article from the Pursue the Passion website. Hey, Mr. Klentak may be young, but let's give Andy MacPhail credit for thinking outside the box. Nothing else has worked in the past decade, so we might as well try something new. Baltimore Sun columnist Peter Schmuck seems to be enamored with the move and it reminds him of a young executive that runs a rival of ours. As well, Peter gets a few words with the big boss, Andy MacPhail. The Washington Post has more on the new hire. Meanwhile, Dave Trembley is earning nothing but respect from his veterans for his ability to be straight up with them. In a bit of good news, it looks like Melvin Mora has stopped his grousing and whining like a petulant little child, and has embraced new infusion of talent. It will remain to be see if he'll be third baseman for the years to next few seasons. It looks like Adam Loewen is going to pitch in the first opening Grapefruit League game, and he's healthy, & ready to go & Roch Kubatko has a list of what pitchers will appear on Thursday; meanwhile, new pitching coach Rick Kranitz has his work cut out for him with the young pitching staff; and PressBox Online has a piece on Dave Trembley and his coaching philosophy. The Washington Post has a piece on the amazing story of George Sherrill; Luke Scott is looking forward to playing in Baltimore; Jay Gibbons is looking to come back from his ugly 2007 filled with tragedy, injury and bad news after bad news; Estaban Yan is working on his comeback, and the plethora of young arms are improving. WNST's Rex Snider thinks Spring Training is too long --- I agree to an extent and the whole schedule seems to be ingrained in tradition, but the whole experience is what makes baseball very unique. However, I think pitchers really need to build their arm strength and hitters need to get in their timing ability -- it's not like basketball, where you can train a short while and just get back into it. Thryl Nelson has an excellent post on the WNST blog and he advocates the Orioles go even further in their rebuilding. Hope I get better enough to travel this week and I'll talk to you all in the morning. Super-Sized, Large And In Charge? The Marlins Want You! Ah, this is awesome. Apparently, since no one goes to Marlins games, they are looking for help -- super sized help. The Florida Marlins are looking for hefty men to supplant the Mermaids -- the Marlins' cheerleaders. Cheerleaders and baseball just sounds wrong --- big hefty men as cheerleaders are worse by a mile. A Possible Return Of Barry Bonds? Well, I presumed that Barry Bonds might have a new home based on his 2007 season; however, as it is right now, he's without a baseball home and seemingly unemployable due to his drug issues and federal indictment. However, there's one team that may have interest in the beleaguered slugger -- yes, the Tampa Bay Rays. The Tampa Bay Rays have recently done what the St. Louis Cardinals did a while back: have internal discussions about the prospect of pursuing Barry Bonds. Manager Joe Maddon said Monday he knew "little" about what was going on, but acknowledged some thought has been given to the career home run leader. "A minor discussion was thrown out there a little bit, and it's really not gone any further than that," Maddon said after Monday's workout at the team's spring training facility. "That's all it is right now." The St. Petersburg Times reported in Monday's editions that team officials have conferred among themselves about Bonds and other veteran unsigned free agents, such as Kenny Lofton and Mike Piazza. Andrew Friedman, Rays vice president of baseball operations, called the report a "non-story." 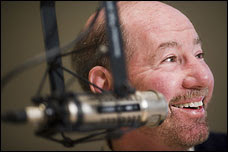 I have always liked Tony Kornheiser and his varying opinions on sports and life in general, whether it be on his radio (which I can and cannot stand at times), his articles in the Washington Post and on his infamous show, PTI, or Pardon the Interruption. Ok, so I think he's sub-par on Monday Night Football, but that's not important here. Well, Dan Steinburg, one of the premier bloggers online of the great D.C. Sport Bog (online via the Washington Post) in post this afternoon takes a look a recent discussion that Tony Kornheiser had on his show. Needless to say from the title, Tony does not look highly upon small bloggers like myself, nor bigger, established ones like Deadspin (um, Will Leitch seems to be all over the place); however, that may not matter to Mr. Kornheiser. From Dan Steinberg's blog (he gives a little intro): Having thought long and hard about how best to attack the advancing scourge of bloggers, Tony Kornheiser apparently settled on this novel approach: he could make a joke about how they do nothing but sit in their collective mothers' collective basements and watch television. This dialogue comes from Friday's show, in which Tony and Jeanne McManus were rightly discussing Simon Cowell's increased nastiness during Idol eliminations the night before. Jeanne: He was much meaner than usual, but what is so annoying is that then Randy and Paula undercut him and try to talk over him and he's the only one with any honesty. In fact, in fact, if a huge dumpster landed on their mother's house (cackling), and got all the way into the basement and crushed them (more cackling), nobody would care. Nobody would miss them. They provide nothing good, no service that's any good at all. They, they are, they are, they are sucking mole rats (more cackling), and that's the nicest I can be to them. But because, because they have a name, or, you know, because they get feedback from others, you know, they think they're very important. Randy and Paula think the show can't go on without them. Jeanne: I was wondering how you'd get back to that. Tony: Here's how long the show would go on without them: for the rest of time. Because as long as Simon is there, there's a show, right Jeanne? Well, for anyone who does not know, Kornheiser is nothing but highly successful in his various media ventures, and I dare say part of the old guard. However, I think he's extremely off-base, arrogant and asinine with his comments on bloggers in general. Whether someone hosts their blog on a free network on Blogger, Wordpress or is part of a blog conglomerate, they have changed the face of reporting and method that news is now disseminated. Mr. Kornheiser, an obviously smart man realizes this, but when he admits it, we in the world will be better for it. Well, I have been struggling a bad cold over the weekend, my trip could have been potentially numbered since I was planning to drive to Florida; however, I am hoping to feel well enough to make the trip on Thursday or Friday. Anyhow, the big news today is Andy MacPhail hired a new front office executive, this a time a "youngin" -- at only 27. (Wow, he's two years younger than I). Maybe we might have another Theo Epstein or Cashman on our hands; however, then again, MacPhail will still have almost all autonomy over things, but he may have a new, trusted lieutenant by his side. "Seeking to add a young mind and a fresh perspective to the Orioles' front office, Andy MacPhail announced today that he has hired Matt Klentak as director of baseball operations. Klentak, 27, who spent the past four years working in Major League Baseball's Labor Relations Department, will assist MacPhail, Orioles president of baseball operations, with scouting, player development, contract negotiations and the overall construction of the team's major league roster. Klentak will join the team March 4. "I think he is a very bright, capable young man who has demonstrated a good feel for the game," said MacPhail, who first interviewed Klentak in December. "I think our philosophies are compatible, and I think he's going to bring a little different point of view, which every organization can use. He's highly recommended from a lot of people in this game that I have a lot of respect for." Klentak first worked with MacPhail on MLB's collective bargaining team that successfully negotiated a second consecutive labor contract without a work stoppage in 2006." In the meantime, what about Mike Flanagan - what is his role now? I've been critical of MASN, but there's finally a ray of hope for us baseball in the region -- HD is coming. From the Baltimore Sun: Mid-Atlantic Sports Network will televise 40 Orioles games in high-definition this season, the network announced today. MASN also will show 40 Washington Nationals games in HD. The Orioles opener will be an HD telecast, as will games against the New York Yankees, New York Mets, Boston Red Sox, Atlanta Braves, Philadelphia Phillies, Los Angeles Dodgers, Chicago Cubs, St. Louis Cardinals, Florida Marlins and Tampa Bay Rays. All six games between the Orioles and Nationals will be in HD. The Orioles HD telecasts will be evenly split between home and away. Ok, so it sounds like a quarter of Oriole & Nationals game will be shown in high-definition, which will still not appease a lot of people; however, the alternative is worse. The network seems to be taking baby steps improve and in the end it could be only good for us as fans in the long run. Well, this photo was nice to see on the Baltimore Sun website. The Orioles invited B.J. Surhoff to be an instructor during spring training, but could this photo be a window of things to come? Right now, I assume during the season he'll just enjoy his life with his family and partake in other interests; however, I think he'd make a splendid major league coach. As I was growing up, I always remembered B.J. Surhoff as a Milwaukee Brewer; however, it seems his time in Baltimore has left an indelible mark in the heart of fans. He's always been a gritty guy who shows quiet intensity, but for many, including myself he represents someone who played the game the 'right way'. Young Elijah Dukes has been in continual cloud of controversy since he's started in professional baseball due to his off-the-field activities; however, SBF and the African Queen from the NATS320 had the opportunity to chat with him while he was finishing his workout during spring training on Saturday. An interesting read and it gives you a new perspective of a young man who's been in the press for seemingly all the wrong reasons. This morning, I was on Bugs and cranks for a perspective on the Orioles, and caught a post that had an interview with Nationals' Team President, Stan Kasten. I found what he said on blogs was particularly interesting. While he doesn't show a real affinity towards them, he realizes their relevance and ability to keep fans engaged. With the profile of Deadspin, With Leather, Were are the Postmen and many other blogs out there, they are changing the way sports are covered. Stan on Blogs: ... I can’t stay on top of them all because there are so many of them. You have to be really careful. It’s a double edged sword. It does keep your name out there, and people are talking about it, and that’s is a good thing in general. Community of fandom — that’s what the internet’s all about, and that’s a good thing. But there are downsides. Last year, for the first time in my career, I had a chat on the first day of spring training to talk about bloggers. Last year we gave a blogger — as an experiment — a one-day press credential to be treated just like all the press, to interview everyone. It was fine and everything was OK. But there are other incidents in spring training. One blogger was out there having fun, talking to people, meeting people. Later that night he was in a restaurant where some of our players were, and he’s writing all these experiences down on the web, and having a great time. And then one of our players walks in with what this blogger described as “two hot babes” on his arm, and it was just great… But it wasn’t so great for the player’s wife back home reading this. So I tell the players that those are some of the pitfalls, because when you’re talking to fans, especially in spring training right across the fence… I promise you guys, if you say something bad about Manny or about me, it’s gonna be on a blog or a chat board somewhere within an hour. And you just have to be aware of that, because once it’s there, it gets picked up by the mainstream media. It's interesting that Stan says this, as the growth of the internet has pretty much led to a 24-hour blog industry online, capped off by TMZ, Perez Hilton, EOnline and various other sites. I don't know if sports exactly fits the mantra of a TMZ, but now anyone with a cell phone camera can snap pictures and post them instanteously online, which is something that could not be done ten years ago or so. Mr. Kasten is right, as athletes are celebrities, they have to be careful as to not only how they represent themselves, but their organizations. But, where does the line get drawn between bloggers and the traditional media? Obviously, blogs do not have an editorial process like newspapers, but their insight and subjectivity do make them now a part of news reporting & commentary. It's nice to see that the Washington Nationals have been so liberal with bloggers, and it's shown by the amount of blogs currently focusing on that one particular team. Well, the big news out of camp this week was Brian Roberts, but this time it's not about the trade talks --- apparently he got sick, very sick overnight with a stomach ailment (the Sun is reporting perhaps a kidney stone). According to Roch, he was sent to the hospital yesterday very early in the morning. However, he's back in camp now and ready to go. The Orioles.com has more on the story. * Jeff Zrebiec has a Q&A about the Orioles and where they stand right now; meanwhile, Peter Schmuck has an article on how the Oriole veterans should get themselves acquainted with the entire rebuilding process; Luis Hernandez is ready to show off his stuff in order to earn the starting shortstop position. * Roch's blog has the latest and greatest of what's going on in camp. * The Examiner reports that Troy Patton is possibly hurt, and that could doom his chances to start for the team at the start of the season; meanwhile, Huff wants to break out of the tradition of starting out slow. Well, as long as I have been going to Baltimore and Washington sporting events (professional and collegiate), the "O" has become a part of the lexicon. However, a lot of Washingtonians don't like hearing the "O" during the National anthem, because they find it disrespectful and obnoxious -- however, there's one big reason --- Peter Angelos. "It's something that's been bugging me for a long time," said Mike Rucki, a longtime Washington Capitals fan and co-founder of OnFrozenBlog.com, a hockey Web site that provides a forum for those of a similar mind. "Just because it's a tradition doesn't mean it's a good tradition." "It's a baseball thing," Mr. Rucki said. "It's an Orioles thing. What goes on at Camden Yards should stay at Camden Yards." "I do not scream the 'O.' Absolutely not," he said. "I actually love the national anthem. I love it as a song. It's a beautiful song. But I don't like the 'O' thing. I think it's kind of obnoxious and disrespectful to the singer. ... Let them do it at Orioles games. I vote no on the 'O.' "
When it comes to the "O," the problem is strictly geographical. Like creeping fescue, or a rash, it even has spread beyond D.C. environs to places like Blacksburg, Va., the home of Virginia Tech. Nationals pitcher Mike Bacsik, meanwhile, knows all about the "O," but he doesn't want to hear it. He said in Dallas, where he grew up, Cowboys, Rangers and Mavericks fans don't yell "STARS!" during the anthem — even though they represent the same city as the hockey team. "If you go to a Nationals game, you probably shouldn't say it," he said. "It's a Baltimore Orioles tradition. It's a cool tradition, but if you're there to watch the Nationals, save it for the Orioles." Personally, I've been split on this issue, as while it is a rite of passage for Oriole fans, fans of other teams have found it asinine to do during the anthem (especially New Yorkers). Growing up here, I'm indifferent, I think it's a good thing and helps to rally the troops, but the mature person in me sometimes think, fans should refrain from doing so. I do know one thing, now that the Nationals are in Washington, I have now seen the utter disdain towards the "O" chat grow and grow. I don't know, what do you all think? Tune in tonight as bloggers Anthony of the Oriole Post and Jason of My Baseball Bias join me for our hour long baseball show called, “The Hits Keep Coming” on Blog Talk Radio. Every week at 7PM Eastern Time (6PM Central/ 5PM Mountain/ 4PM Western/Pacific) we chat, analyze and comment about the world of Major League Baseball. You can listen to last week’s show by going over to the sidebar on the right and looking for the Blog Talk Radio section. At the moment, Brian Roberts is still a Baltimore Oriole: however, it is looking more likely that he'll be dealt to someone perhaps before the trade deadline this season. Rumored to be going to the Cubs since the beginning on the new year, the deal is on hold, perhaps because both side cannot work the details. Reading some of the Baltimore Orioles news online, it seems more and more that Brian Roberts is resigned to moving on and playing somewhere else for the chance to win. Although he was nothing but professional in his words to the scribes, if you read in between the lines, he's torn between being an Oriole and moving onto greener pastures. From the Sun: "It's just a touchy situation just because I love the Orioles," Roberts said. "I've been here since Day One, and I do want to see this organization win. I've always said that. I made a commitment when I signed my deal. But certainly on the other hand, when you see two of your best players gone, a lot of unknown [players] come in - very talented I'm sure - but unknowns nonetheless. The organization essentially has conceded [that] we probably won't win for a couple of years. It's hard to swallow at first, but I'm here. Wherever I am Opening Day, I'll do my job." "I would never call this organization and say, 'I want to be traded. I need to be traded,' " Roberts said. "I signed a contract. I signed a deal. I understand when I make a commitment, that's what I'm here for. But as I said earlier, you want to win. ... For this organization, if it's better to send me to another place and get a couple of pieces for down the road, I understand that, too. The sooner the chance I get to win, the better off." Brian has been a good sport with everything that has happened during the offseason' alas, in the end, do you think he's seen the writing on the wall? As an Orioles fan, I'm digging seeing Tejada in another jersey. He was good for us while he was in Baltimore, but being traded was probably the best thing for him. You'd think the Astros are perhaps having a little bit of buyer's remorse with his name in the Mitchell Report, alas, that seems to be anything but the case. Tejada, unlike peers such as Andy Pettitte, Roger Clemens and teammates Jay Gibbons along with Brian Roberts is keeping his mouth mum on the steroid controversy. Today Brian Roberts and Jay Gibbons had to face the music in Spring Training once again and had to explain themselves as well as ask fans for forgiveness. To me baseball is a game and just a form of entertainment, but I’m curious to what you all think about this whole drug issue. I have a thread on Oriole Magic I've just posted -- I want to know what you all really think. Ah, the apple does not fall far from the tree. In his short time in power, Hank Steinbrenner has been nothing but a carbon copy of his dear old dad; opinionated, a sometimes blithering idiot, chatty and sometimes comes off as a blowhard. Honestly, I kind of want the guy to shut up; however, the world would not be as fun, eh? Well, Hank opened his mouth and opined on the world of steroids. Hank Steinbrenner insists baseball is being picked on for its trouble with performance-enhancing drugs, and claims the problem is bigger in football. “I don’t like baseball being singled out,” the New York Yankees senior vice president said in a telephone interview with The Associated Press on Monday night. “That’s not an excuse. If a sport is riddled with it, it’s riddled with it. Why aren’t they looking at the NFL?” he said. “We’re going to do it,” he said. Matt Wieters: The Golden Boy? Based on everything I have read, Matt Wieters in camp as written by the scribes down in camp so far is the real thing, and fitting in with the Major Leaguers. Take a look at Roch Kubatko's piece and see why he's now the new "Golden Boy" for the Orioles. Wieters, 23, eventually will relocate to the minor league complex in Sarasota, Fla. His only at-bats since leaving Georgia Tech and accepting a franchise-record $6 million bonus have come in the Hawaiian Winter League. But the impression he's made will remain long after he's gone. "It's been a great experience so far," he said. "I'm just trying to be like a gnat on the wall, where you just fly around and listen to what everybody else is saying. And everybody's been great about talking to me, whether it's about hitting or the clubhouse. It's been a fun couple of days." He's not quite ready to fill a spot in the middle of the Orioles' lineup, but the people around him, and those who know him best, are certain that he won't be overwhelmed by the responsibility. "Matt's always been a very deliberate person," Pam Wieters said. "He doesn't do anything until he knows exactly what to do, and that's where his confidence comes from. He steps back and listens first." He'll no doubt have peaks and valleys in the minors, but do not be surprised if you see him in a Baltimore uniform before 2008 is out. So far it seems he's got an incredible work ethic, an eye for the game and a way about him that you think in your mind, "yeah, he's going to make it." However, the team will need a lot more than Matt Wieters to contend in the future, but the Baltimore Orioles have gotten off to a great start with the youngster. Andy Pettitte faced the music and was asked a ton of questions to a throng of media. We all know Andy is a guy who has some great integrity, is a good guy, and whatever else; however, I should did he dupe the Yankees into giving him a huge contract and does he really feel sorry considering all the money he's made. I think he's sorry to an extent, but did he consider everything including the consequences before he was forced to give his mea culpa thanks to the Mitchell Report? A glaring weakness in the Baltimore Orioles scouting system is finally being looked at. Despite the leaps and bounds the organization has made in rebuilding its minor league and getting new blood, their attempts at getting internationals hails in comparison to the Dodgers, Yankees, Red Sox. According to the Orioles.com, Spencer Fordin, Baltimore is taking a new approach to scouting on the international front. The organization will start to look at new avenues of talent, including other areas of Latin America, along with Asia. Andy MacPhail has tabbed John Stockstill, a member of the scouting team to spearhead the effort. From the Orioles.com: "We need to be more involved. Over a third of the players that play in the Major Leagues are from outside the country," said MacPhail. "I don't think it's realistic to think we're going to jump into the deep end and be right there. I think it's more going to be a function of trying to ascertain the unique qualities of each market and where you need to be." Stockstill, who worked previously as an assistant general manager in charge of pro scouting, will be responsible for scouting outside the First-Year Player Draft and reviewing the work already done by other scouts. He'll have the responsibility of deciding when the Orioles should move forward or move on, and he'll bring all his information back to MacPhail. The job will take Stockstill all over the world, from Caribbean islands and South America clear across to the Pacific Rim. "We've always been in Latin America, but the Asian thing is not a new thing -- it's upgrading what we have now," Stockstill said. "We've been in the market and made offers on Japanese players in the past, so it's a matter of going to a new level that's the next step for us. Some countries have rules where you can't sign certain level players. Obviously, for a club like the Orioles, Japan is a very interesting market, because that's where the most ready for Major League level talent is playing." Considering the successes that their AL East rivals, the Yankees and Red Sox, along with the Dodgers, Mets have had with finding stars in other reaches of the world – this was a no-brainer. Obviously, the goal is to get more talent into the organization; however, another payoff is create a new market financially for the Orioles (as the Red Sox and Yankees) have had some success there. However, that’s down the road. This move is one in the line of several to make the Orioles more competitive and rebuild the credibility of organization in baseball. It’s a goal, we as fans, should be happy with. The Sun's Dan Connolly also has a piece about the attempts to broaden international scouting. Spencer Fordin reports that the battle for the 5th starter is wide open, and contenders for it include, Garrett Olson, Troy Patton, Hayden Penn, Matt Albers, along with Radhames Liz, Brian Burres and Lance Cormier. Jeff Zrebeic notes that the Orioles have very few vertically-challenged pitchers on the squad. Perhaps we make the makings of the old Baltimore Bullets, or at least reserves on the Baltimore Ravens. Meanwhile, erstwhile Sun reporter, Roch Kubatko is impressed by the young arms he sees in camp and as well notes that other members of the team are finally starting to show up. Also, he was able to get a few words with the highly touted Adam Jones. Last, but not least, MASN & WJZ are giving fans a chance to catch Spring Training down in Sunny Florida. BetCRIS (thanks to Capitol Punishment & Vegas Watch for the list), has posted over/unders for each MLB team's 2008 wins. Everything looks about accurate, but the odds makers have Boston and New York tied; I think Colorado's win total should have a few more (considering the way the season ended, Vegas might be onto something), Tampa Bay should have a few more wins; however, the list looks pretty strong to me. The Orioles are looking like one of the worst teams in baseball, but at least they will not be losing -- however, I think the projection of Baltimore is close to what will happen in reality. However, the games are not played on paper, they're played on the field. The Phillies fool pitcher Kyle Kendrick into thinking he has been traded to a team in Japan. The Baltimore Sun today has a series of articles that takes a look at Steve Bechler, a young right-hander hoping to make the Orioles' bullpen, collapsed while participating in spring training conditioning drills and sadly died the last day. Because of his passing, changes came about in the supplement industry as ephedra was pulled off the market, and Bechler's family went into ligation against the manufacturers of the product he took. The first article takes a look at how his widow and daughter have dealt with his passing nearly five years later, and the second article looks at how the Orioles handled things at the time. For fans of the Washington Nationals, the next few weeks will definitely serve to be the start of an exciting year, with the opening of the new ballpark and an infusion of talent onto the roster. The Nationals in 2007 served as sort of a surprise for fans, as they won 73 games and also beat many analysts’ dire predictions as to how bad the team would be. Despite crafting a team of youngsters, journeymen and veterans, Washington defied all expectations and was a source of pride in the community. In turn, Manny Acta earned the respect not only of fans, but also the national press for taking a team that many thought had no chance and making them into a respectable unit. The Nationals’ front office, led by team President Stan Kasten and General Manager Jim Bowden, have a plan in place to rebuild from within via draft picks, heavy scouting in Latin America and other countries, selective free agent signings and resourceful trading than rather than investing heavily in high-priced free agents. The team was able to acquire young talent via off-season trades and had a superb 2007 draft; thus, the Nationals rebuilding plan is going better than expected. As Opening Day approaches, the Nationals will finally be able to see the progress they have made on the field, and start evaluating how the plan is working. They spent off the off-season not splurging in the free agent market as some might have chosen, but selectively putting pieces together that they hope will build a bright, competitive future. However, fans were concerned by some of players the Nationals selected, due to the questionable nature of their history. First, the Nationals traded away two fan favorites, Ryan Church and Brian Schneider for Lastings Milledge from the Mets. Milledge is a true talent to be sure, and he’s penciled in as the starting center fielder. But his short time with the Mets was filled with whispers of immaturity, from high-fiving fans after his first big league home run, to cutting a rap album with sentiments demeaning to women. Paul LoDuca, signed in December to a one-year, $5M deal to mentor young catcher Jesus Flores, appeared in the Mitchell Report on Performance Enhancing Drugs just two days after. In January, LoDuca injured his left knee in a workout, had surgery, and will miss most of spring training. An inauspicious debut to be sure. However, the most controversial deal came about when troubled Elijah Dukes was acquired from the Tampa Bay Rays for pitcher Glenn Gibson. Dukes has restraining orders against him by two different women, including the mother of his child. He has been accused of threatening his former wife and child’s life, going so far as to text message a picture of a gun to her after one altercation. He’s also been suspended in every level of baseball he’s played, including as a member of the Tampa Bay Rays last year. Despite the fans’ concerns, the Nationals are in much better shape baseball-wise than they were last season, and they hope that the success of Dmitri Young’s comeback last year spurs the same success with their newly acquired talent. The lineup and bench are much improved; however, the Nats are still missing that one true power in the middle of the lineup. Rising star Ryan Zimmerman, first baseman Dmitri Young, left fielder Wily Mo Pena and right fielder Austin Kearns provide most of the pop in the order. With newcomers Johnny Estrada, Paul LoDuca, Milledge and Dukes filling things out, things are looking up for Washington offensively. The return of Nick Johnson is also anxiously awaited, as he has proclaimed himself fit and ready to play. His inclusion will certainly bolster the batting order. The starting pitching for Washington was a glaring problem area in 2007, with injuries to multiple starters, including de-facto ace, John Patterson. The upcoming season brings reason to be optimistic, as the injured report healthy and ready to take their turns in the rotation. Right now, the sure bets in the rotation right now are John Patterson, Shawn Hill (4-5, 3.24) and Jason Bergmann (6-6, 4.45). As we know, Patterson only made a handful of starts due to problem with the nerves in his arm and he’ll be the wild card in the rotation. Patterson in 2005 emerged as one of team’s most dominant pitchers. He’s struggled ever since, so for his sake, and also for the Nationals, it is critical he gets off the ground running and delivers in 2008. Hill and Bergmann impressed fans and the front office, and showed flashes of brilliance and promise last season. If they can continue their development, the starting rotation might turn out to be a strong suit. Hill has the better upside, as he’s got a devastating sinker along with breaking pitches, but Washington will definitely need him to stay healthy for the duration of the 2008 season. If he can stay healthy and get ample run support from the offense, he’s got the potential with a healthy Patterson to become a solid 1-2 pitching combo. Bergmann is solid if not spectacular, and will keep the Nats in games if he can extend himself past the fifth inning, something he rarely did in starts last season. Other pitchers in the organization who might be slotted for the pitching rotation include Tim Redding, Matt Chico, Tyler Clippard, Joel Hanrahan and John Lannan. Redding had a comeback of sorts (3-6, 3.64) and proved to be a steadying force last season. Chico (7-9, 4.63) had the most starts of any National but struggled and was sent back down to the minors. Clippard was acquired via trade with the Yankees. Hanrahan and Lannan are both young, and the Nats hope they can continue their progress to be reliable members of the rotation. Redding and Chico are definite favorites to get the final two spots, while the latter three will more than likely spend time in the minors. The strength of the Nationals’ roster no doubt came from the bullpen. No Washington starter had a complete game, and the bullpen both won and saved more games by far than they lost. Chad Cordero, (3-3, 3.36, 37 SV’s), the subject of trade rumors in the off-season, will once again close out games for Washington, and big Jon Rauch (8-4, 3.61, 4 SV’s) who appeared in 88 games last season and who recently signed a two-year extension will serve as the setup man. Luis Ayala, who is coming back from injury, will probably pitch out of the bullpen in key situations, as will Saul Rivera and Jesus Colome. Other contributors to the bullpen may possibly be Ryan Wagner, long-time veteran Ray King & Chris Schroder. Now, let’s take a look at the everyday starting lineup and the bench. The Nationals, despite the contributions of 2007 Comeback Player of the Year Dmitri Young and third baseman Ryan Zimmerman, finished near the bottom of the National League in pretty much every statistical offensive category last season. Thus, the Nationals made the moves they did to hopefully rectify the situation. Granted, Washington’s offense suffered in a bit due to the cavernous dimensions of Robert F. Kennedy Memorial Stadium; however, that should change in 2008 as the team moves into brand new Nationals Park, which should play friendlier for hitters. There are several intriguing storylines to focus on with regard to the starting line-up. First and foremost, Dmitri Young and Nick Johnson will battle to be the starter at first base. As most fans know, Nick Johnson is coming back from a gruesome injury at the end of 2005, and the question is can he come back and contribute? And if Johnson is healthy and ready to be on the field, what next? Can Young play the outfield as previously rumored? Will one be traded? Another question is: Will Young repeat his successful 2007 season? Both men are competent at the plate; however, a healthy Nick Johnson has an advantage over Young, as he’s the more complete player and a much better fielder,. And if trading one is the way to go, who has more trade value? Johnson has a serious injury history and Young’s best value is probably at designated hitter, which makes it more difficult to trade him. Young served as leader for the team in 2007, came back from his personal and legal problems and earned the Nats’ lone All-Star selection. The Nationals expect him to mentor the youngsters on the team, especially Elijah Dukes. If both Nick Johnson and Dmitri Young get off to spectacular starts, the money is on seeing Johnson traded, simply for the fact he’s the much better player. The second storyline is: Who will play up in the middle in the infield? Washington has three men for two positions, and it is unknown who will be the starters at this point. Felipe Lopez is slotted to be the every day second baseman; however, he’ll need to seriously rebound from his 2007 where he struggled badly (.245, 9, 50) and was mired in a season-long slump. He needs to perform in spring training not only to secure playing time, but it is also his walk year and Lopez will want to put up solid numbers to earn a big payday. If Lopez is starting at second, the shortstop will be Christian Guzman. After an infamous 2005 where he batted under .200 most of the year, and missing ’06 with injuries, he was on his way to a full-fledged come back, batting well over .300 in the early part of 2007. But yet another injury derailed his season. Washington hopes he can translate his strong first half of 2007 into 2008 to not only justify his contract, but also perhaps use him as a trade chip. That leaves 2007 starting second baseman Ronnie Belliard (.290, 11, 58) as the reserve middle infielder. He saw action in 147 games and served as a pleasant surprise for the Nationals. With his career almost left for dead, Washington signed him to a one-year deal in 2007 and he did nothing but deliver in key situations. He should see a lot of playing time this season, and if either Guzman or Lopez struggles, expect him to be penciled as a potential starter. Third base is solid, as all Nats’ fans know that Ryan Zimmerman is the face of the franchise and the future of the team. 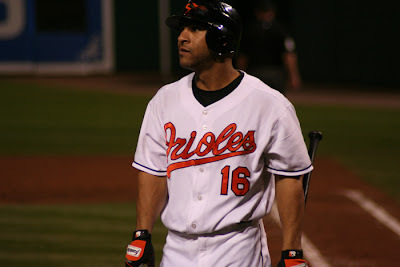 In his rookie year, he hit 20 home runs with 110 RBI and batted .287; however, in 2007, his numbers took a bit of a dip (.266, 24, 91) as he struggled in the first half of the season and his production picked up later on. He can no doubt handle the pressure of being the anchor of team, and with the dimension of the new park, the Nationals brass are hoping he can see his number rise. He had off-season surgery, removing the hamate bone from his right wrist, so it remains to be seen how this will factor into his preparation for the 2008 season. The starting outfield will considerably have a lot of more athleticism and power due the off-season changes. Gone are Ryan Church and Nook Logan. The everyday outfield right is now slotted to be Austin Kearns in right, Lastings Milledge in center and big Wily Mo Pena in left field. Kearns is trying to battle back from a season where he struggled at the plate (.266, 16, 74); however, he was one of the best defensive right fielders in baseball, and the new park should boost his numbers as he’ll bat in the middle of the order. Lastings Milledge, who was the center of the Ryan Church and Brian Schneider deal, will most likely be the everyday center fielder. Blessed with all five tools, the highly touted youngster had a rocky road in New York due to maturity issues and focus at times, but he put up respectable numbers (.272, 9, 29) in limited playing time. He has a seemingly unlimited ceiling, and the organization is banking that with everyday playing time, a new environment and the watchful eye of Manny Acta, Milledge will blossom. Starting in left field will be Wily Mo Pena. Acquired in a trade from the Boston Red Sox, Pena’s numbers (.253, 15, 39) may look less than spectacular, but he started to thrive in Washington thanks to increased playing time. Only 26, the Nationals are hoping that he’ll be a force in the middle of their lineup. Despite having less than adequate plate discipline, and less than stellar defense, his power does the talking. The wildcard in the outfield is Elijah Dukes. His talent isn’t the question – it’s his behavior off the field. Dukes, once one of Tampa Bay’s top prospects, earned a one way ticket out of the organization due numerous arrests and domestic issues. The Nationals are hoping a change of scenery and a renewed dedication to the game will make him the player he could be. He may be a reserve, or start in Triple-A; however, he if gets off to a hot start in spring training, expect him to have a spot in Washington. Other candidates in the outfield include speedy Willie Harris and veteran Rob Mackowiak, both picked up via free agency. Their addition bolsters the strength of the bench, and along with holdover Ryan Langerhans give the organization many options for substitution and spot starts. The catching situation right now is in flux. Paul LoDuca was slotted to be the starting catcher; however, with the knee injury and questions about his inclusion in the Mitchell report, his status is very much up in the air for Opening Day. It is not expected that he will receive punishment from the club or from Major League Baseball, at least for the present. He was signed as a stop-gap for one year, and although his numbers have declined in the past few seasons, the organization is depending on his experience to help out the young pitching staff and be a leader. Washington also signed veteran Johnny Estrada, who played for Arizona last season, as an insurance plan in case LoDuca was not ready in April. A solid player and former all-star in his own right, Estrada has some pop in his bat but does not get on base much. At the very least, LoDuca and Estrada should team to be a relatively productive tandem behind the plate. Jesus Flores, who filled admirably in Washington last season as a Rule V draft pick, will more than likely start off in the minors to give him more playing time and allow him to hone his craft. In the end, the Washington Nationals look to be a “team in progress”. With a brand new ballpark that is projected to increase revenue and a commitment to rebuilding the organization through the draft and other fiscally responsible means, the future of this team is bright. Kasten, Bowden and the team’s scouting department, along with the Lerner family, deserve credit for developing a plan, sticking to that vision and dedicating the effort to rebuilding a formerly moribund minor league system. Baseball America recently ranked the Nationals’ minor league system as the ninth highest-rated system, receiving very high grades for their last two amateur drafts. How that talent develops will determine how quickly the Nationals will be primed to become contenders in the National League East. Jay Payton isn't sure how long he'll be in Baltimore. Honestly, I don't know if he came into the situation fully aware of Baltimore's struggles or if he signed hoping he'd have somewhere to play everyday, but I figured that he was not happy in an O's uniform. Whether or not, he stays, I think he's better off going into a scenario more suited for him -- on a winning team where he plays semi-regularly. "I could be here all year, I could be here half the year, I could be here another five days," he said Saturday upon his early arrival at spring training camp. Payton has one season left on the two-year, $9 million contract he signed before the 2007 season. But is there a spot on the roster for a 35-year-old who batted .256 last year? "I know I'm probably not the quote-unquote favorite, but this is the fourth year I've gone into spring training as the fourth outfielder and I've gotten 400 at-bats every year," Payton said. "So I'm not going to worry about my status too much." Manager Dave Trembley said, "I'm going to have to talk to him about what I see his role as being coming into camp. I know that he has some concern about that. We'll exchange some ideas." Like I said, I think he should be sent on his way. Well, I have nothing against him, as some Oriole fans do, but he's an intense fellow and I'm not sure how he'll deal with the losing and riding the pine. Pretty much, the guy has been on winning organizations his whole career, and sulks when he doesn't play -- case study: Boston; however, I think when he's motivated, he's a hell of a ballplayer -- gritty, intense and focused. * Aubrey's hair is blonde, and he's trying to get over the death of Joe Kennedy. * Mike Contanzo is in camp, and he's experimenting with catching. * Erik Bedard has agreed to a $7 million, one-year contract with the Seattle Mariners, avoiding arbitration with the team that acquired him last week. In light of the whole Clemens-MacNamee mess, another multi-millionaire ball player asserts he was sorry not for his drug use, but for being mentioned in the Mitchell Report. Ah, here's what Paul LoDuca said today to the scribes at the Washington Nationals Spring Training Complex. "In regards to Senator Mitchell's report, I apologize to my family, all of my fans and to the entire baseball community for mistakes in judgment I made in the past and for the distraction that has resulted," LoDuca stated in his remarks releassed by the team. "So that I can focus on making positive contributions and avoid creating further distractions, I respectfully decline to comment any further on the content of the Mitchell report." Whatever. Dude you took drugs and hit your way to millions of dollars. You're not sorry for what you did -- eh, you're kind of sorry for being caught and having evidence that directly implicated you to Kirk Radmonski. I guess what's why you've said nothing for two months. Aubrey Huff honestly had a perilous 2007, as he had his worst year career wise and as well caused a ruckus amongst Oriole fans and threw mud on the organization by his stuny of the "Bubba The Love Sponge Show in the off-season. However, this year he's looking to not only improve, but also honor the memory of a lost friend, Joe Kennedy, who played for the Oakland Athletics and passed away due to a heart condition. From the Baltimore Sun: Huff is grieving the loss of his close friend, 28-year-old pitcher Joe Kennedy, who collapsed and died in the early morning of Nov. 23 at his in-laws' home in Tampa. The cause of death was listed as hypertensive heart disease that went undetected in his yearly physicals. "If you have it, I guess you don't really know," said Huff, who had dinner with his former Tampa Bay teammate two nights before the pitcher's death. "I don't know how that works, but apparently, we're just so unprotected. We have no idea, even with all the EKGs we take. "It's a tough time. It was very unfortunate. He was an awesome dude. Life's fragile and you just never know when you're going to go. It can happen to anybody." Huff requested switching his number to 17 after checking with Kennedy's wife. "I asked her if it would be cool if I wore it this year because that's what he wore in Tampa," Huff said. "I wanted to wear that for him this year." Though the vast majority of readers don't think very high on Aubrey Huff due to his play and his utter lack of judgment in the off-season, but let's give the man some credit for taking the time and having the heart to honor a fellow major leaguer and good friend. Team Reviews & Yahoo Fantasy Baseball, Oriole Post Style..
Well, if any readers are interested, I'm thinking about starting a Fantasy Baseball League with Yahoo for fun and prizes. If I can get six to ten loyal people to jump onto the idea, I will start a league where the winner will get an IPod Shuffle, plus a pool of money where I'll put in $50 to start off. Anyone who's interested, either leave a comment or email me. The enrollment is first come, first serve, and if there's more people who are interested, there's a chance to open it up for more. I pretty much knew the events of Wednesday would solve nothing; alas, most of America agreed with my assertion -- absolutely nothing was accomplished. “I think Clemens and McNamee both came out quite sullied, and I didn’t think it was a hearing that needed to be held in order to get the facts out about the Mitchell report,” Waxman said. “Roger Clemens’s lawyers told us he wanted the opportunity to make his case in public,” Waxman said. “He had his opportunity.” Now, Waxman added, 90 percent of the people being asked their opinion of the hearing were stating that they did not believe Clemens. “He is the one who created this circus in the first place,” Hardin said of Waxman, contending that Clemens and his lawyers had asked several weeks ago for the hearing to be called off, only to be rebuffed by Waxman’s staff. “We didn’t think any good would come out of having a food fight with the accuser,” Hardin said in reference to McNamee. But once the depositions were taken last week, he said, the Clemens side felt it had no choice but to proceed, fearing that the committee would use the depositions to produce a hostile written report. “We wanted this out in the open,” Hardin said. Now, both sides can't get their s**t straight? Well, steroid use is a public health issue, especially amongst kids and should be investigated by the government; however, the farce that took place this week in Washington resembled an inquisition of a multi-millionaire athlete along with his seedy trainer and how they vaulted themselves to the top. Granted, government has the right to look into businesses that violate anti-trust laws, but did anything tangible out come out this hearing for the public good? No. There are other pertinent issues in this country to ponder about (yes, far more serious and further reaching than baseball in this country) and it's silly that the government has spent numerous days and countless dollars on the events of the this week. Ah, seeing the Baltimore Orioles down in Florida is a great respite from the sordid MacNamee-Clemens saga and the stench of drugs in the sport right now. From all accounts from the scribes from camp, things seem to be laid back and coming along. Right now, the pitchers and catchers are at Spring Training, as the team gets ready for the pre-season games. Dave Trembley and Rick Kranitz have a lot of work on their hands as they try to get the staff going and ready for the 2008 season. I'll be down there in about 12 or so days, and I'm looking forward to seeing the players up close and as well seeing the other teams down in the Sunshine State. * The Oriole blog on MASNSports.com gives us a sneak peek into how the players are feeling in the first week of camp; naturally, the players are excited to be on the field doing what they love before the games begin according to the Sun's Jeff Zrebeic. As well, Jeremy Guthrie has a few words with the Sun paper, and there's a video of the Baltimore Orioles Spring Training facility. * Closer Chris Ray, who is a lot lighter, is looking forward to coming back and pitching in August, rather than waiting out the year. Also, on the physique front, Ramon Hernandez reportedly looks great and is also ready to go. * Also, Ray Frager reports that the Orioles have set dates and times for their radio broadcasts from camp. * Meanwhile, erstwhile blogger and Sun beat reporter, Roch Kubatko reports that Aubrey Huff changed his uniform number to honor the late Joe Kennedy; as well, he reports on the comings of several players and also the departure of one. President Bush to Possibly Pardon Roger Clemens? As sick and weird as the events of the last few days have been, it's only getting stranger as one of Brian McNamee's lawyers predicted Roger Clemens will be pardoned by President Bush, saying some Republicans treated his client harshly because of the pitcher's friendship with the Bush family. The thought sounds silly, but after what I saw yesterday in the crazy Congressional hearings, anything is no doubt possible. From the Examiner: One of Brian McNamee's lawyers predicted Roger Clemens will be pardoned by President Bush, saying some Republicans treated his client harshly because of the pitcher's friendship with the Bush family. Richard Emery made the claims Thursday, a day after a congressional hearing broke down along party lines. Many Democrats were skeptical of Clemens' denials he used performance-enhancing drugs and Republicans questioned the character of McNamee, the personal trainer who made the accusations against the seven-time Cy Young Award winner. "It would be the easiest thing in the world for George W. Bush, given the corrupt proclivities of his administration, to say Roger Clemens is an American hero, Roger Clemens helped children," Emery said in a telephone interview. "It's my belief they have some reason to believe they can get a pardon." "I'm not aware of Mr. Clemens having been charged with anything," White House deputy press secretary Tony Fratto said after being told of Emery's remarks. Emery cited Bush's decision last year to commute the 2 1/2-year prison sentence of I. Lewis "Scooter" Libby, his vice president's former top aide. Libby was convicted in the case of the leaked identity of a CIA operative. From USA Today: Former United States President George H.W. Bush confirmed Thursday, through his spokesman, that he reached out to Roger Clemens after Major League Baseball released the Mitchell Report.
" President Bush called Roger," Jim Appleby, Bush's spokesman, told Newsday. "They are very friendly." Like Clemens, Bush - the President from January 1989 through January 1993, and the father of current president George W. Bush - makes his full-time home in the Houston area. Bush attends a handful of Astros games each season. During Clemens' three years with the Astros, he routinely socialized with Bush. President Bush, do whatever you want; alas, at this point, it would be better if Roger Clemens just followed the lead of Mark McGwire and just went away. At this time last year, the Orioles were talking about getting better and perhaps making inroads to compete with Boston and New York down the road. However, that’s now anything but the case. With ten losing seasons under their belt, a fan base that is completely disinterested along with national reputation for ineptitude, changes took place during the mid-point of the 2007 season and will so for the immediate future. First off, the biggest change was that Andy MacPhail was hired in the summer of the previous season; second, Sam Perlozzo was fired mid-season and replaced with former coach Dave Trembley; third, perhaps the most successful pitching coach of generation, Leo Mazzone, was fired; finally, and perhaps most shocking (depending on your perspective), the Baltimore Orioles decided to start over and Peter Angelos for now seems to be on board. Now, instead of perhaps wondering if Baltimore will finish .500, fans will wonder if they avoid losing 100 games. The name of the game now with this organization is the word, “rebuilding”, one that most never want to hear. Furthermore, now the Orioles may be looking at the bottom of the division, a position once held annually by the improved Devil Rays. Instead of acquiring players from the free agent market, the Orioles, under the tutelage of Andy MacPhail have decided the best way to rebuild is through trades and securing young talent. The big ticket item from several years ago, Miguel Tejada is gone, replaced by five players from the Houston Astros, headlined by Luke Scott and Troy Patton; meanwhile, a bigger move was made a just a week ago as left ace Erik Bedard was traded to the Seattle Mariners for five more players, with Adam Jones as the marquee name in the deal. Granted, the roster has gone through an overhaul; however, are the Baltimore Orioles any better in 2008? The answer immediately would be no; alas, the goal is not to have a competitive team right now, but for the years ahead. Needless, to say the Orioles have a lot of holes and they need several of their veterans to step up and contribute. Right now, the Orioles are weak in the areas of starting pitching, in the bullpen, and in the middle infield; however, the glaring problem is with some of the veterans who are in a steep decline or didn’t bother to put their maximum effort last season. How does a man who hit 28 home runs in 340 at-bats, with a .480 OBP and .565 can still remain unemployed? Well, if you're Barry Bonds and have the stench of drugs, lies, and a government indictment or you, that's how? What a shame. He'd be useful to someone no doubt, and while teams will accept players with baggage, they won't accept someone who's got so much of it fill a stadium. I thought someone might have taken a chance on Barry Bonds, but I have been proven wrong so far. Sad. Pathetic. Sordid. Unfortunate. I am just watching as much I can from the case right now, and it's just unbelievable what I have read and seen. Clemens is done, plain and simple. MacNamee, considering he is a slimeball, actually was the most credible of the two and might have told the majority of the truth. Pettitte, I am willing to forgive you; however, considering all that has been said and done, I'm having a hard time reconciling what you've done. Well, and to Congress, do you all have anything else better to do? I think most of the officials who took part in the whole spectacle were there for the same reason why most kids back in the day preferred an assembly rather than an hour of class. Clemens' Wife Was An HGH User? For most Oriole fans, the upcoming year may be hard to stomach, but the Baltimore Orioles may be in good hands with Dave Trembley. The team may not make much of an impact in the standings, but look at things from afar, we could do a lot worse than the current skipper. As we got to observe to an extent last season, Trembley brings a no-nonsense approach to managing and teaching the game. He may come off as gruff sometimes, but he seems to be firm, but fair. Despite expectations of nothing but the worst, Tremebley seems to show the patience, and maturity that's needed for a team in the rebuilding stage. That being said, hopefully he'll have a long tenure in Baltimore, but things as they are right now, he seems to be a leader that the team needs. We'll see how the saga turns out. Although the team is surely building up for the future; alas, the team still know that it has to play to win as many games as they can in 2008. Meanwhile, the Sun's Roch Kubatko reports that the Orioles will be focused on fundamentals, doing the little things right and as well trying to be competitive. Remember, pitchers and catchers show up for camp on Thursday as Spring Training officially kicks off! * The Sun's Jeff Zrebeic reports that Ramon Hernandez is in good shape, as the team will sorely need him in '08. In the same piece, the Orioles are interested in Alex Cintron & there's some news on Troy Patton and Chris Roberson. * Spencer Fordin goes over the returning players on the Baltimore roster. * Pressbox has their review of the Orioles heading into Spring Training & looks at the starting rotation; meanwhile, Allen MacCallum think the Orioles need more offense, and not arms (I agree to a point; however, pitching should come first and foremost when it comes to a rebuilding plan). Alas, the Oriole will be climbing Mt. Everest if they do not jack up their offense, especially in the powerful AL East. Finally, Stan Charles purports that Andy MacPhail is the one voice filtering information to the masses for the Baltimore Orioles, and I do not think that is a good thing. * Meanwhile, on the left coast, Mariners manager John McLaren has named Erik Bedard as Seattle's opening day starter. * Mr. Average, Kris Benson has found a new home, this time with the Philadelphia Phillies. * One of the premier websites for Oriole fans, Orioles Hangout, takes a look at some of the prospects acquired in the off-season and currently on the roster. * WNST's Drew Forrester is not happy with the Orioles (I can agree with him to some respect); Phil Backert takes a look at the roster; Mark Suchy praises Andy MacPhail; Nestor ponders if Brian Roberts will be traded & Mark Mussina wonders about the future ahead due to the Bedard trade. Here's some video from the proceedings today - wow. I don't know really what to think, aside from I know someone is lying. Roger chatting with Rep. Elijah Cummings. Brian MacNamee getting grilled by Burton Grills. I don't why I didn't think of posting this until now, but the Washington Post's Thom Loverro, who has written some negative things about the Orioles (and lot of people would agree with him) pretty much has surmises both regions are sports purgatory thanks to their owners. The two teams he's taking shots at are the Washington Redskins and Baltimore Orioles. Respectively, they are owned by Daniel Synder and Peter Angelos. I'm sure both men have meant well for their teams, but their actions over the years have not done wonders for their reputations as owners and in turn, their teams have suffered. Loverro write this peace at the time Art Monk and Darrell Green were inducted into the National Football Hall of Fame and the Baltimore Orioles celebrated their 25th anniversary of their last World Series about two weeks ago. When the Colts left Baltimore in 1984, a marketing effort attempted to get the Baltimore area to warm up to the Washington Redskins. It failed. When the Senators left Washington after the 1971 season, a campaign attempted to get Washington to embrace the Baltimore Orioles. It succeeded only to a degree — witness the 34 years fans in the District spent fighting for a team of their own. But there finally may be something to connect Washington and Baltimore sports fans: pain. That is so for Redskins and Orioles fans, who share the pain of owners who operate on personal whim rather than in the best interests of their franchises, owners deaf to the pleas of fans and unsympathetic to their pain. These are fans who have seen the best of times — and not that long ago either. The Redskins made four Super Bowl appearances from 1982 to 1991. 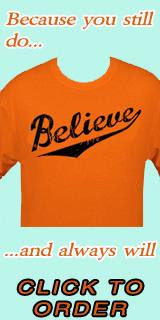 A generation of Orioles fans grew up when the franchise was the best in baseball, winning six American League pennants and three World Series titles from 1966 to 1983. Now the owners fiddle, the teams burn and the fans can only watch. The Orioles tore down their team again to start over — and attempted to trade a Cy Young candidate to do so. The Redskins failed to capitalize on any momentum from the second Joe Gibbs tenure and a playoff appearance. They instead embarked on a coaching search that made the franchise a source of national ridicule. Both teams likely will call on that history this year to ease some of the pain. The Orioles are planning a number of events honoring the 1983 team, and the Redskins likely will honor Monk and Green at FedEx Field next season (traditionally, the Hall of Fame rings are presented during the season at the home stadiums of the inductees). But as much pleasure as those good memories bring, they also remind everyone how bad the bad times are. That, at least, is a place Washington football and Baltimore baseball fans can find common ground: good memories and bad times. For me, sports is an escape and something to relax my psyche; not so much as something to belong to or something that parallels life. To me, games are just games; however, to many others it fulfills a vacuum and sense of entitlement for a region. I know as much as anyone the importance of the Redskins and Orioles to their regions, and hopefully by some shred of hope, things will improve. How Low Can the Baltimore Orioles Go?